Welcome to the SmartOakland Get the Lead Out of District 7 campaign! 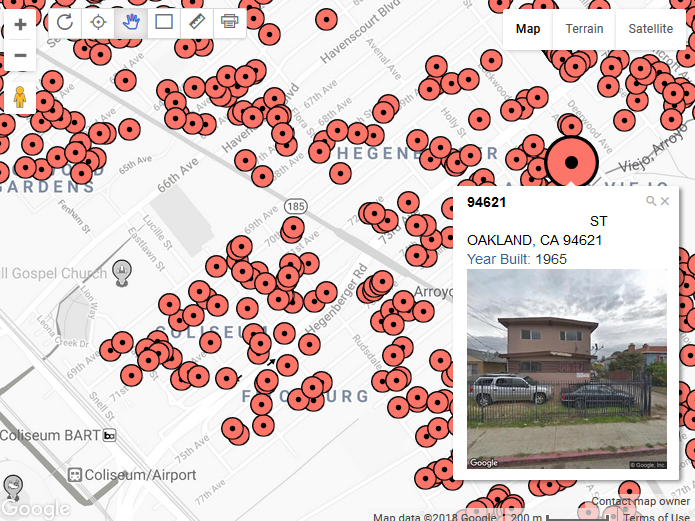 There are 420,000 people living in Oakland and District 7 has at least 14,380 pre-1978 housing units where at least 35,950 people are living inside homes with a high probability of containing lead paint. These people - occupants and owners - need to be made aware of the potential threat inside their housing so they can take care of it as soon as possible. We’re crowdfunding money to kick off a GTLO campaign to protect District 7 that includes outreach, predictive data to find lead, a Project Manager to run and report status, and stipends to pay community members to join and lead micro-community project teams. Here's a link to a one-page document we'd like you to share far and wide so people can join our crowdfunding campaign for District 7. Please post and share it as much as possible to help us kick off this initiative for D7. *** PLEASE NOTE ***SmartOakland is a CA non-profit corporation but we have not yet received our 501c3 tax exempt status. While your donations are not tax exempt today, you can keep your donation receipt and as we receive our updated status we will let donors know they can update their records.